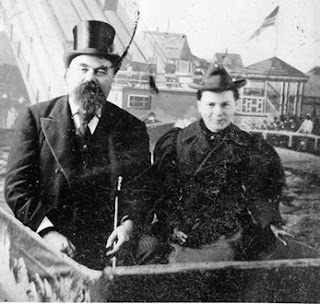 Henry Bratnober was born in Castrine, Prussia in 1849 and immigrated to Galena, Illinois with his family in 1854. 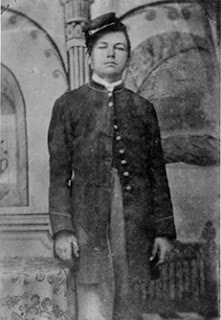 In 1864, he joined the 36th Wisconsin Second Corps of the Army of the Potomac during the Civil War. In 1866, he traveled to Montana and began a career as a miner. In 1897, he traveled to the Klondike country in Alaska where he became an associate of the Guggenheims, worked as the western representative for the Rothschilds and bought and sold mines for the London Exploration Company. Bratnober played a major role in the development of the Alaska gold and copper mines and the construction of a 400-mile Alaskan rail line for J. Pierpont Morgan and the Guggenheims. Bratnober settled in many previously unexplored regions of Alaska looking for gold. The records show many great successes as well as some massive failures. Historical accounts also seem to indicate that he was a colorful figure with and oversized personality. In 1903, Bratnober made national news when he rescued three men from starvation in the outlands of Alaska and managed to alert authorities who were then sent to assist hundreds of other men who were left behind without provisions. At the end of the 19th Century, Henry and his wife Ella purchased the Gamble House (see photo) in Piedmont, located at Piedmont Avenue and Bonita. 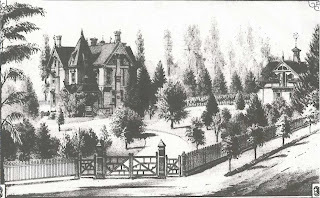 The mansion which no longer exists was located on seven acres and had a carriage house. News accounts claim that Henry’s den had one of the largest collections of animal heads on the West Coast, including bison and reindeer. The Bratnobers had no children. He died in Livermore, California in 1914 after a brief illness. Bratnober has a mountain named after him in the Yukon Territory, Canada.